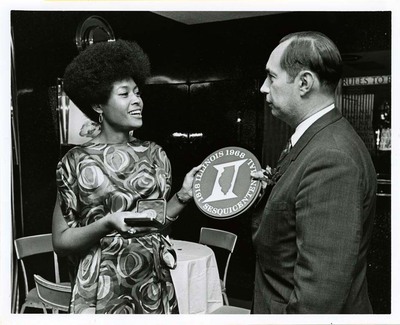 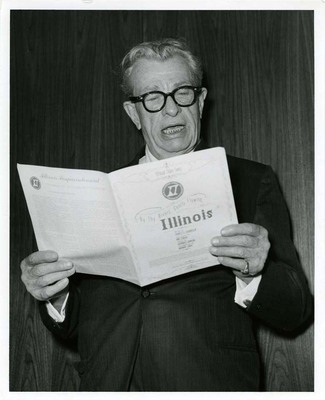 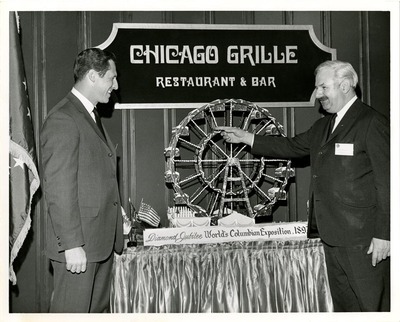 The Illinois Sesquicentennial Commission was created in 1965 by the 74th Illinois General Assembly to commemorate the 150th anniversary of statehood in 1968. 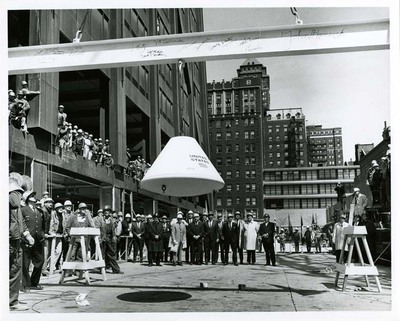 Several events took place across the state as part of the celebration including ceremonies at historic sites, performances, and the placement of a time capsule on top of the John Hancock Center. 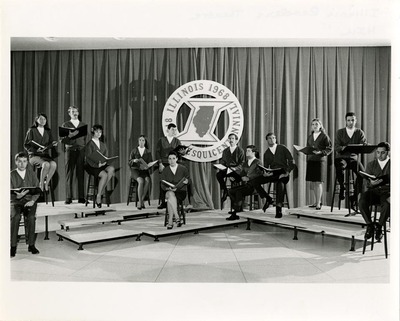 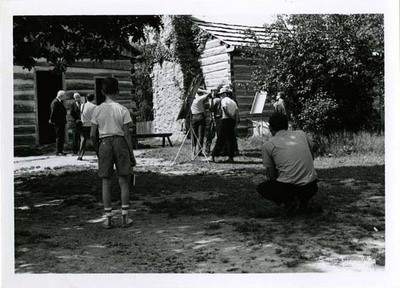 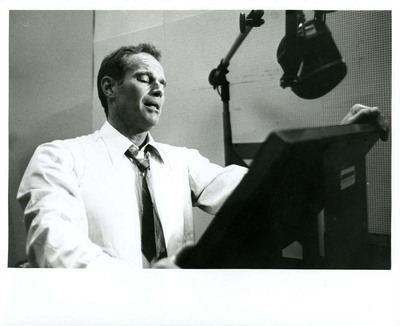 Several celebrities with ties to Illinois participated in the production of a television show, I Remember Illinois, and a film, Tomorrow is a Day. 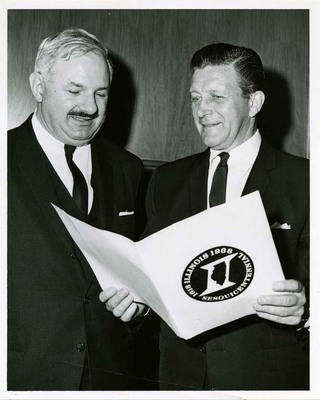 The commission also produced a commemorative medallion and booklet. 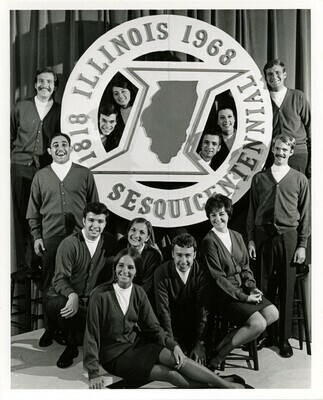 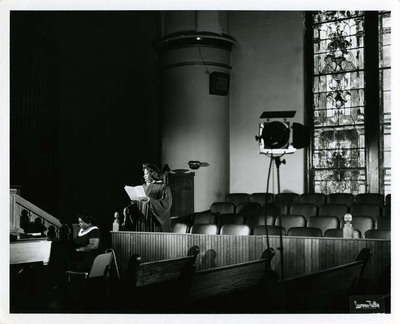 Photographs in this collection images of the members of the Illinois Sesquicentennial Commission, commission events, Illinois historic sites and landmarks, and celebrities participating in commission activities. 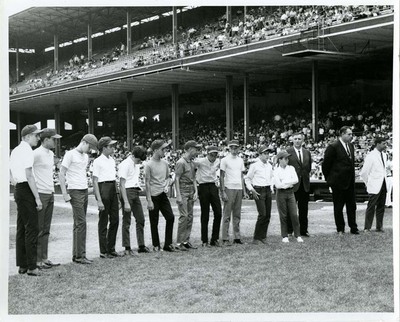 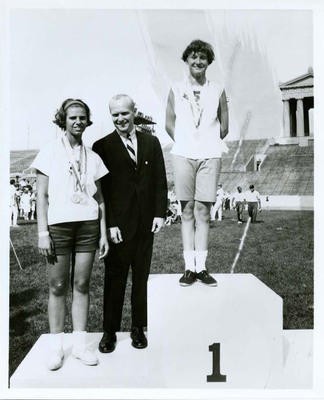 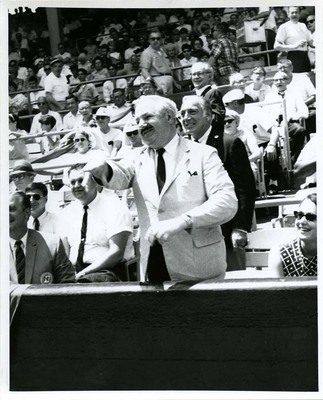 Also included are several photographs of the first Special Olympics which took place at Soldier Field in 1968. 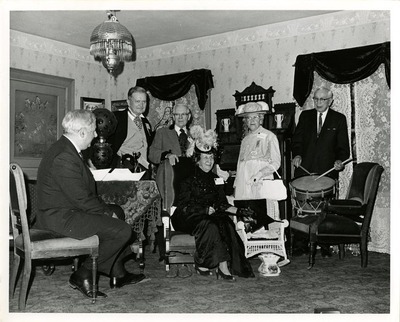 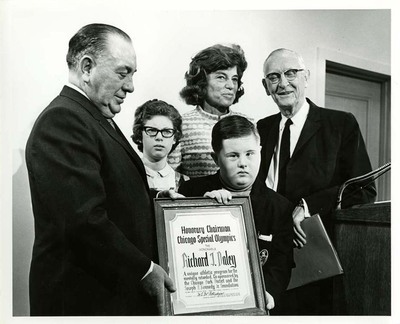 The finding aid for the Illinois Sesquicentennial Commission Records, 1965-1969 at the Abraham Lincoln Presidential Library may be found at http://alplm-cdi.com/chroniclingillinois/items/show/332.